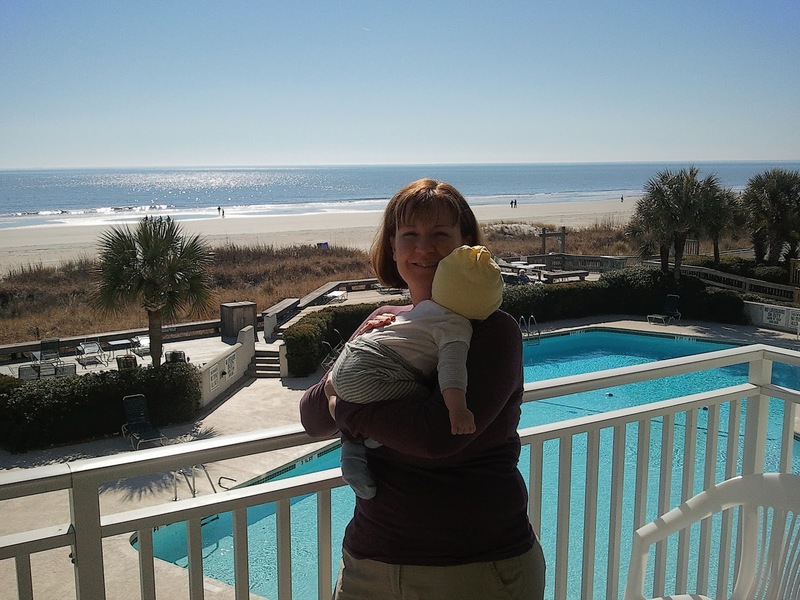 Home 'n Hosed: Hilton Head, South Carolina -- Road Trip! 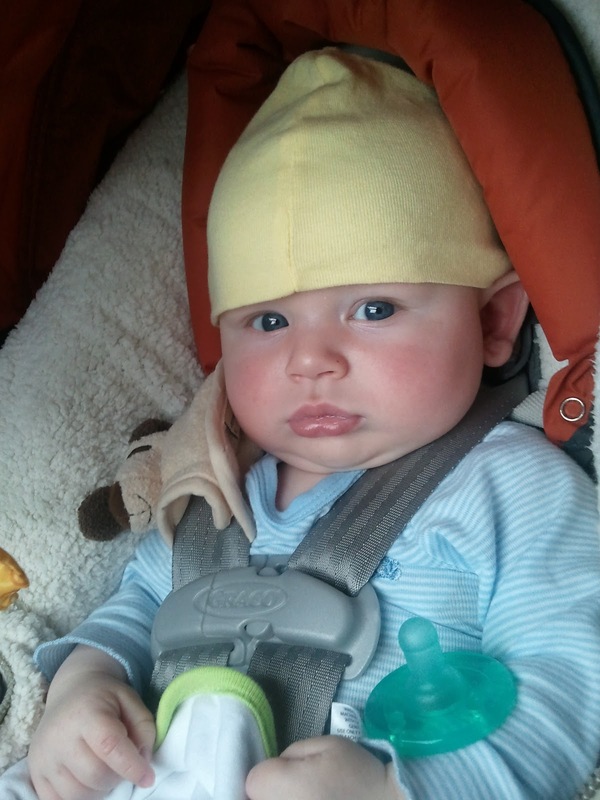 Last weekend (Jan 28-31) , Cayne and I took Ethan on his first ever road trip to Hilton Head Island in South Carolina. We stopped off for a night in Atlanta for some business meetings that Cayne had to go to. That worked out great for me, because Ethan and I got to spend a fun evening with Laura and enjoy true Neapolitan-style pizza at Fritti in Inman Park. Ethan was very talkative during dinner and flirted with our waitress. Laura and I had fun telling stories about conferences and travels. I gotta go...where there ain't any snow! Waitress, I need two more boat drinks! A quick sleep before the drive to Hilton Head. Friday morning, Cayne had a couple of business meetings but we finally got out of Atlanta at 1:30 to make our way to Hilton Head...where none of us had ever been before. It was a long drive, and it was very dark when we got there so we didn't get to see much on our way in...but the condo we got to stay at was very, very, nice (thank you, Mitch!). Whew! It's almost finished...with no mess! In the morning we woke up to beautiful views of the ocean and a cooing baby. It was a gorgeous and warm day. We had a leisurely breakfast out, bought some groceries, and had a nice long walk on the beach before grabbing some seafood take-out to enjoy while watching the sunset. The condo where we stayed. Sunday was another leisurely day...we drove around Sea Pines and stopped at the Marina and Harbortown. It's the off-season so almost everything was closed except for a few resturants. We grabbed a late afternoon lunch at The Smokehouse, which had delicious food but unfortunately, but the time we got there, Ethan was hungry again so it wasn't exacttly a relaxing lunch. 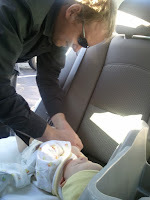 Luckily, we had a great waitress who kept our food warm until I was finished feeding and changing him. 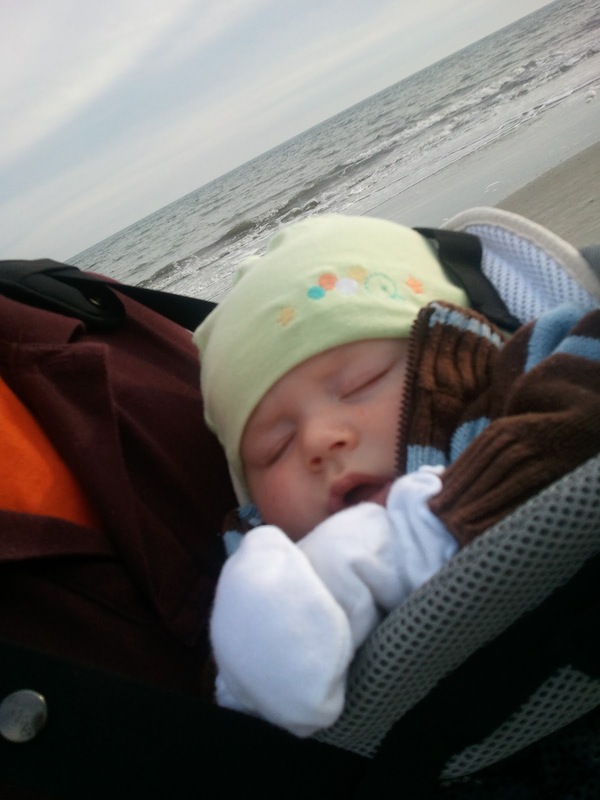 After that, it was time for another walk on the beach -- this one was a little colder but Ethan still slept while we walked. Talking with daddy about what he wants to do today. It was a long lunch. This photo cracks me up! Getting ready for a walk (aka "nap") on the beach. We drove home on Monday --- it took us about 10 hours to get home, which wasn't too bad. We had actually thought about stopping for the night in either Atlanta or Chattanooga but we were home by 8:00 pm and neither of us were too tired when we hit either of those places. Fighting sleep through Atlanta traffic. At a rest stop just outside of Chattanooga. 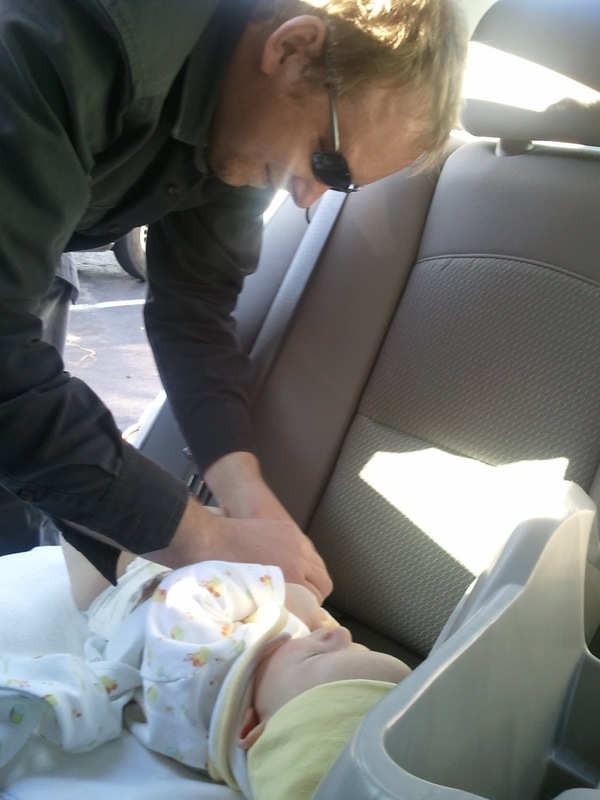 Ethan was a real trooper on his first road-trip. He's now spent the night in both Georgia and South Carolina (and slept while driving through both states too). He even slept well at night in his Pack N Play and didn't fuss too much when we kept having to put him back in his car seat for more driving.